The beautiful pink leopard printed silk scarf with cotton tassel edging is the trend setter this season and will match any outfit. They are so comfortable! Our dresses are made to order, please select below your preferred wear date. 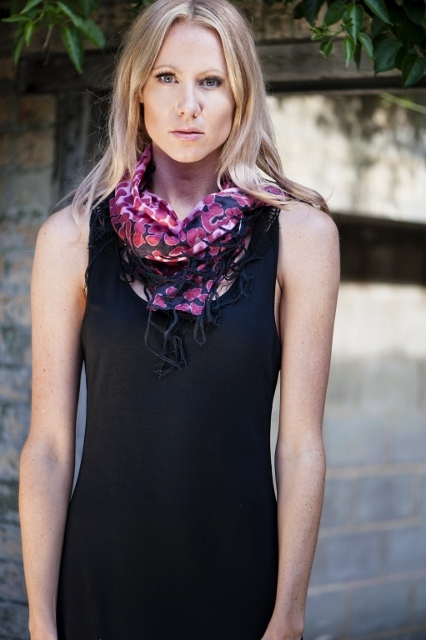 Wrap yourself up in the very versatile pink leopard printed silk scarf. Featuring tassel edging for a textured look. A medium sized square scarf which can be worn in multiple different ways. Made form thin, light weight material so can be worn all year round. Change your outfit completely by just adding one of these brightly coloured scarfs. Perfect to keep the sun off your shoulders in summer and the cold off your neck in winter. Available in two bright and happy colours pink and orange.